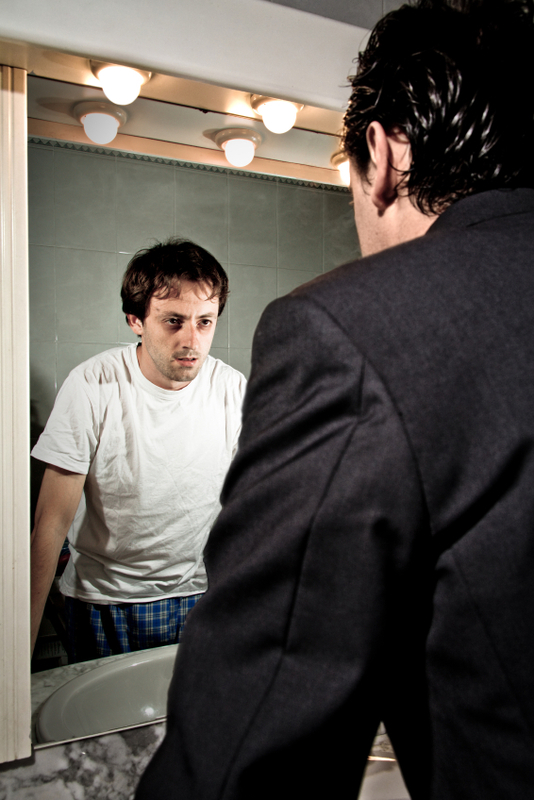 Performance Improvement — Looking In The Mirror First! It’s human nature to look at the barriers to performance improvement as external. We tend to think, “If only these weren’t in my way, I could do fantastic.” I’m not talking about the chronic whiners or those who don’t take personal responsibility — frankly, those people are a waste of my time. I’m talking about people who sincerely want to do better, yet somehow, doing better is based on external factors. It’s always easier for us to see the problems, difficulties, challenges that impact us and our performance. It’s easy to think, if those weren’t there, we could do better. But too often, the problem starts us. We’re not doing things the way we should. We’re not paying attention, we’ve got bad habits, we’ve fallen behind on our own learning, we’re not as disciplined or focused as we should be, we aren’t putting in the effort. We aren’t asking for and accepting help in changing what we do. As we look to maximizing our performance, we need to start with examining ourselves and what we are doing. As individual contributors: Do you have strong personal performance goals that you monitor to keep yourself on track? Do you know your personal “Healthy Pipeline Numbers,” is your pipeline healthy? Are you using your company’s sales process? Are you constantly looking to improve your win rates, reduce sales cycles, improve average deal values? Do you have strong deal strategies aligned with your customers’ buying processes? Do you have strong call plans that you execute? Do you create and agree on agendas’ for each major meeting with the customer beforehand? Do you create value in each interaction with the customer? Do you focus on the things most important and relevant to the customer? Are you helping the customer learn and improve their business, achieve their business and personal goals? Are you aggressively looking for new opportunities—within your accounts, within your territories? Do you set aside adequate prospecting time? Do you have a structured approach to planning how you use your time each week? Are you conversant in the key issues your customers face–as individuals, businesses, in their markets? Are you constantly learning and building your skills? Are you helping your peers and colleagues improve? Are you proactively involving your management and actively seeking coaching? Do you take personal responsibility for the results you produce, seeking to constantly improve? As managers and leaders: Do you set a strong personal example for the work ethic and behaviors you expect of everyone in your organization? Are you spending time coaching and developing your people, helping them develop not only for their current role, but achieve their full career potential? Are you working collaboratively with them to help them put in place strong deal and territory strategies? Are you out visiting customers, helping your sales people move the deals forward? Are you leveraging the sales process and helping your team leverage it? Are you identifying and removing barriers that impact the effectiveness of your team? Are you recognizing and rewarding great performance among your people? Are you constantly looking for the best in all your people? Are you maintaining a strong list of qualified candidates to back fill potential open positions? Are you addressing performance and other problems head on–not avoiding them? Are you fighting for your people and customers within the organization? Are you developing your own capabilities as leader and manager? Are you looking for opportunities to constantly improve and develop—both your team and yourself? Are you actively engaging your own manager in your development? These aren’t exhaustive, but they represent starting points for each of us, regardless of our role or level in the organization to constantly improve our own performance. There are legitimate external factors that impact our performance, but top performers don’t let those slow them down. They find ways to deal with them and perform at the top of their profession. They make no excuses and assign no blame, they just execute and perform! Clear, insightful and wise advice, Dave. Great post, Dave. External circumstances make a great substitute for grinding it out; for constantly doing the little things that lead to success. It reminds me of my golf game. I’m not willing to practice consistently or get instruction; I think I ought to be a decent player just because I show up. Then I blame the clubs or something else. Go figure…. Great analogy Kelly–it took me a while to figure out my handicap was me 😉 I spent $100’s in new clubs, gadgets, everything. Until I realized it was me and started focusing on my swing, attitude, etc. I couldn’t improve. Thanks for the great comment!